Earlier this year the Credit Union heard the terrible news that our IT Student, Ben Rawson, had been diagnosed with cancer. 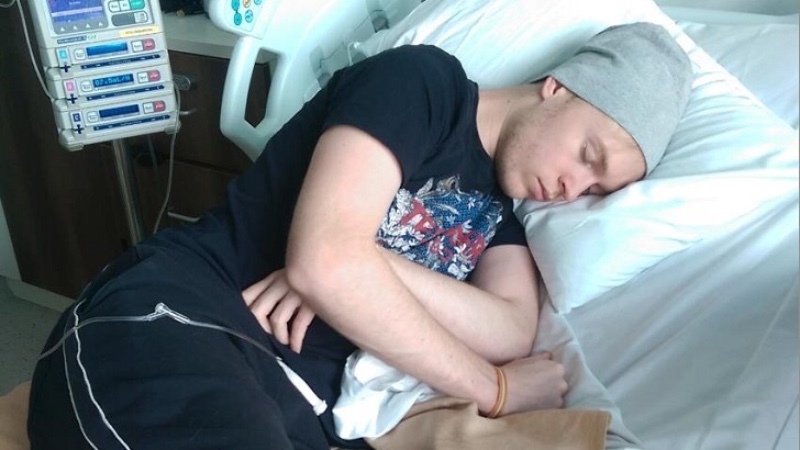 Ben was diagnosed with Ewing’s sarcoma in his knee, meaning that as part of treatment he would need an amputation above his knee, as well as chemotherapy. Aged 21 and two years into his University degree, sportsman Ben’s biggest concern was getting back to normal life once treatment had ceased. Part of what will enable him to get back to normal life again will be having a blade as a prosthetic limb, allowing him to take part in sport again. Unfortunately for Ben, this costs an astronomical amount and will need help to raise the funds. In typical Credit Union style (because Ben is actually a member), we’re doing all that we can to help a member, to help get his life back to normal after treatment. Early in December a couple of employees turned the staff room into a breakfast café, selling breakfast butties at a cost of £2 each. 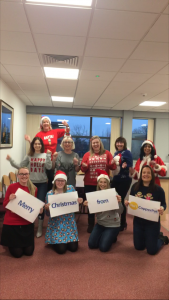 Before the team broke up for Christmas, the annual Christmas jumper day took place, with everyone putting a donation towards Ben’s fund to wear their jumpers. Not only were funds raised through this donation, but local businesses donated different products/activities to enable the staff at No1 CopperPot to raffle off the goodies, to raise even more money. By doing this, the staff alone have raised £265.